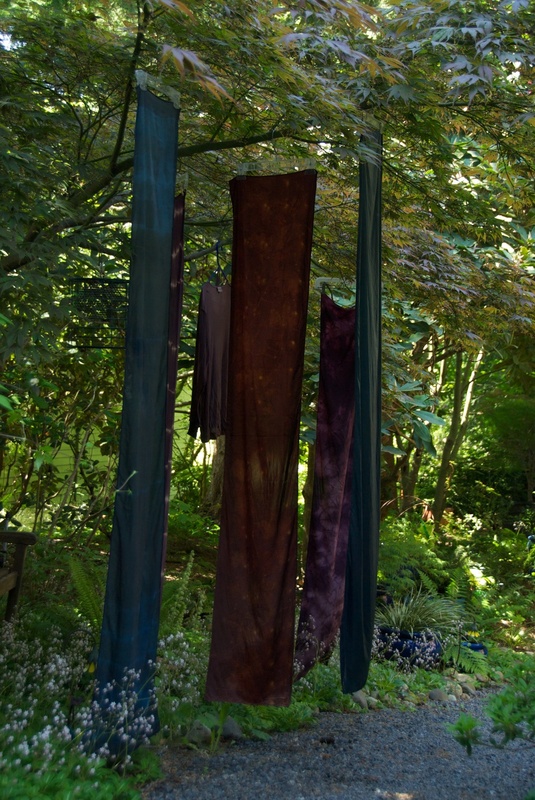 I use both local dyes (grown in my garden or gathered nearby) as well as exotic dyes (grown or gathered in other locations) in my Botanica line. Background colors are generally created from exotic dyes, such as cochineal ( an insect harvested from cactus in Central and South America), logwood (bark from a tree sustainably harvested from farms in the Dominican Republic), pomegranate skins, indigo, etc. 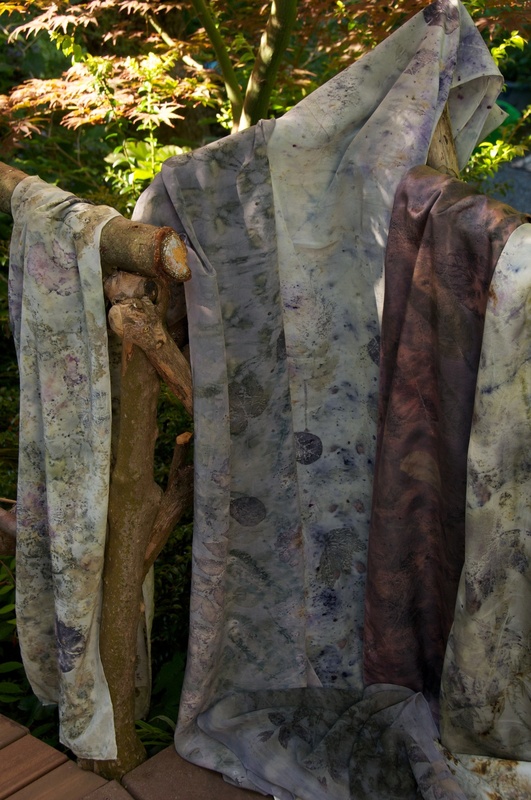 Some of my Botanica silk is dyed using Japanese Shibori dye methods, where I bind the silk in specific ways to create patterns in the resultant color. Others I print using leaves and flowers from my garden. 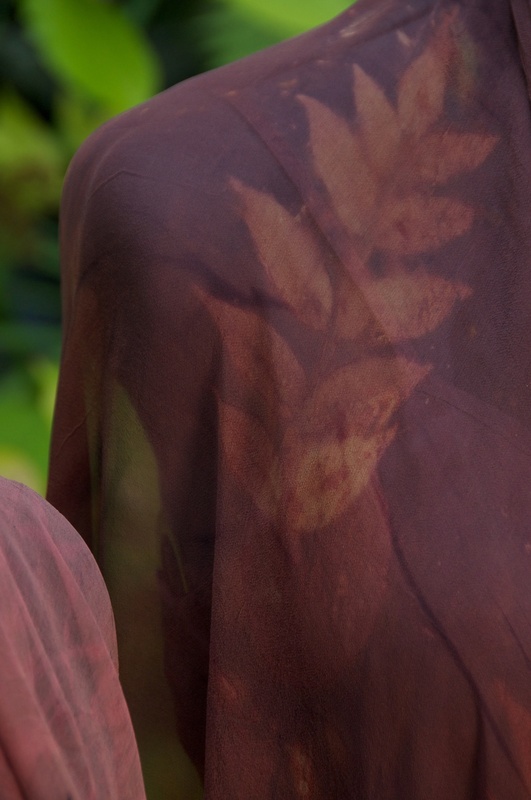 It is this method that led to the name "Botanica" for my wearable silks as the resulting prints resemble old style Botanical drawings. How crisply the leaves and flowers print, the colors they print, even IF they print, changes day to day during the growing season depending on the amount of sun, rain, the developmental stage of the leaf, etc., etc., etc. 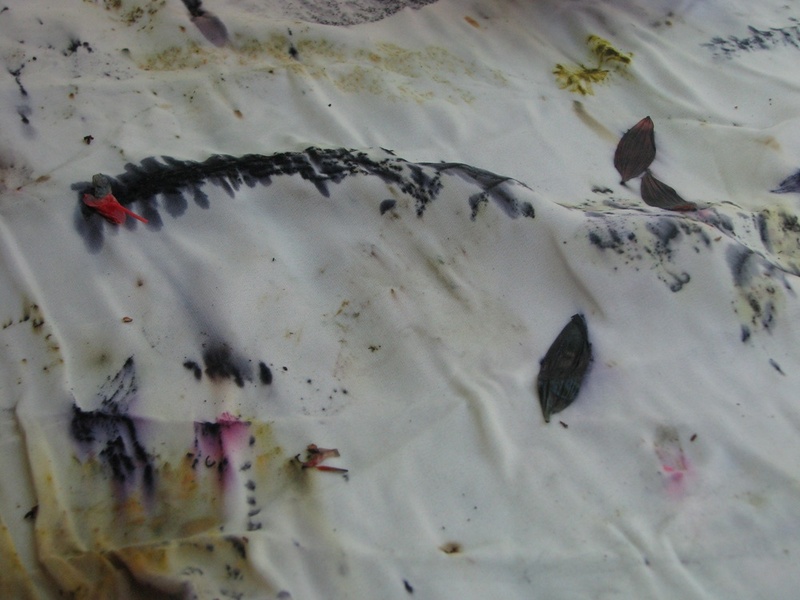 Creating these botanical prints is a mixture of art, science, experience, and serendipity (sometimes Mother Nature likes to surprise the dyer). All of my wearables are hand-washable.